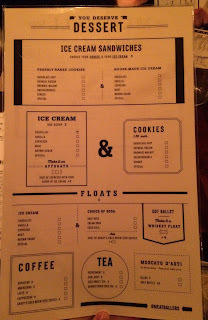 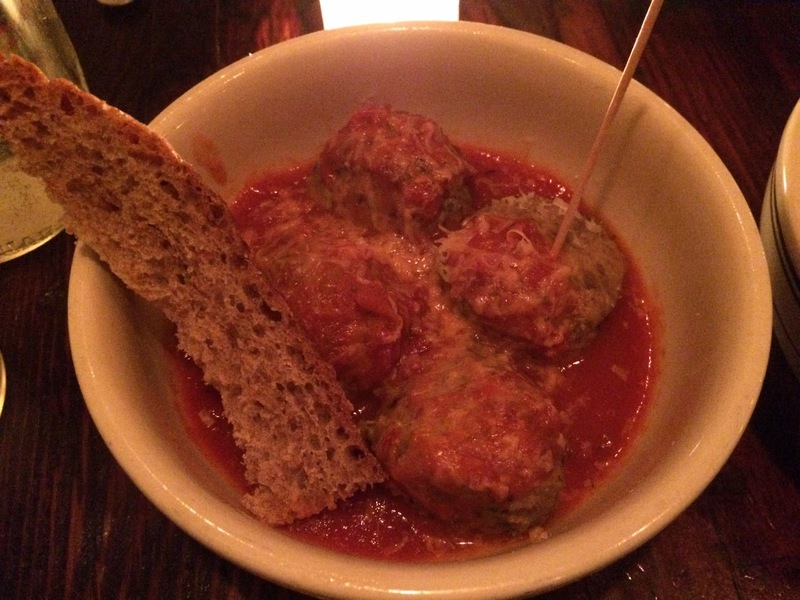 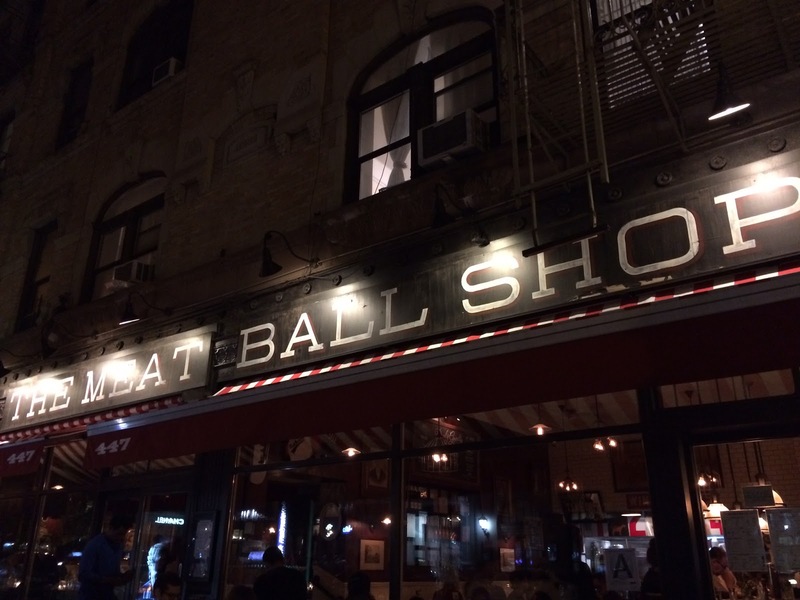 My husband took me to "The Meatball Shop" in Upper West as I've been interested in since I heard he's been there before. 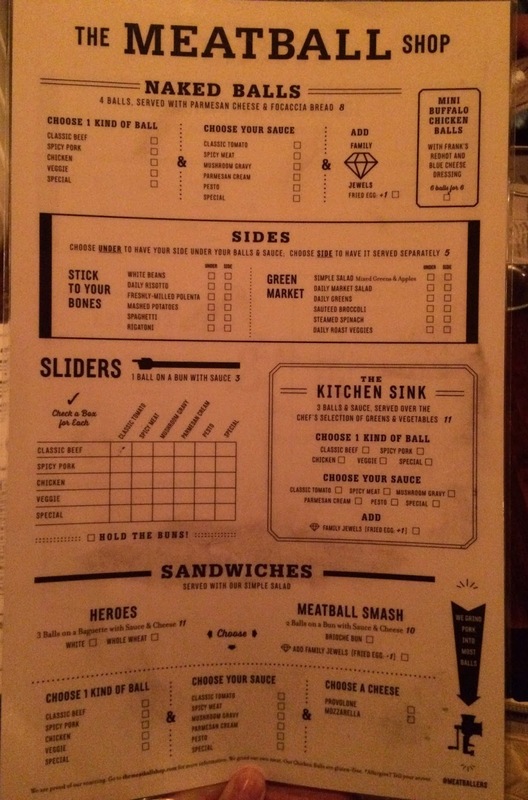 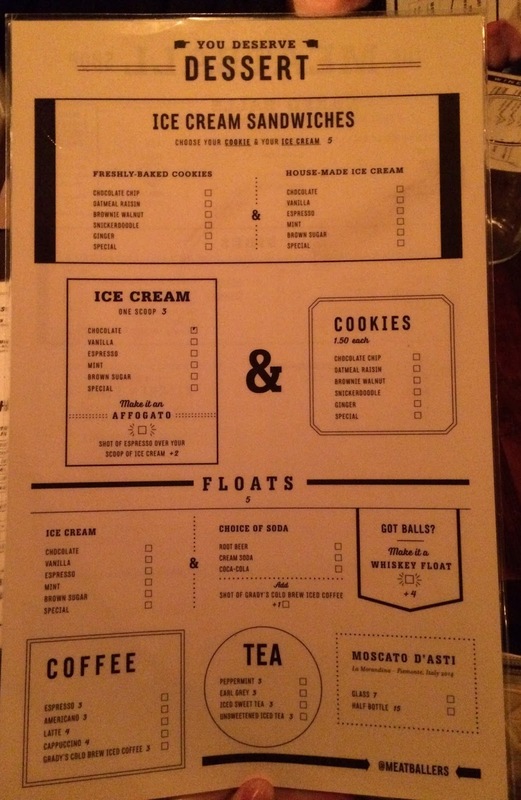 The menu had blank boxes next to each item and I mark the dishes I want with a pen set on the table. 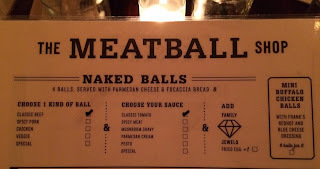 From Naked Balls, which is just meatballs, I chose "Classic Beef Ball" and "Classic Tomato Sauce." 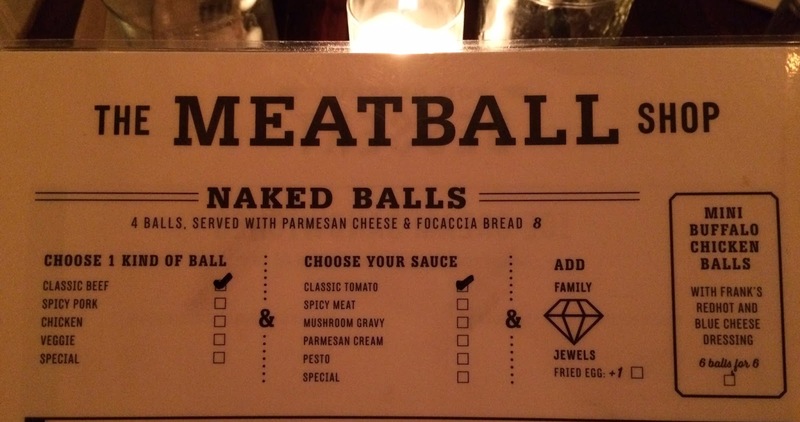 You can also add risotto and pasta to them. 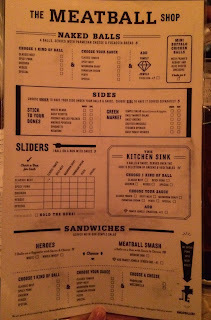 And as a side, I marked "Simple Salad (Mixed Green & Apples)." 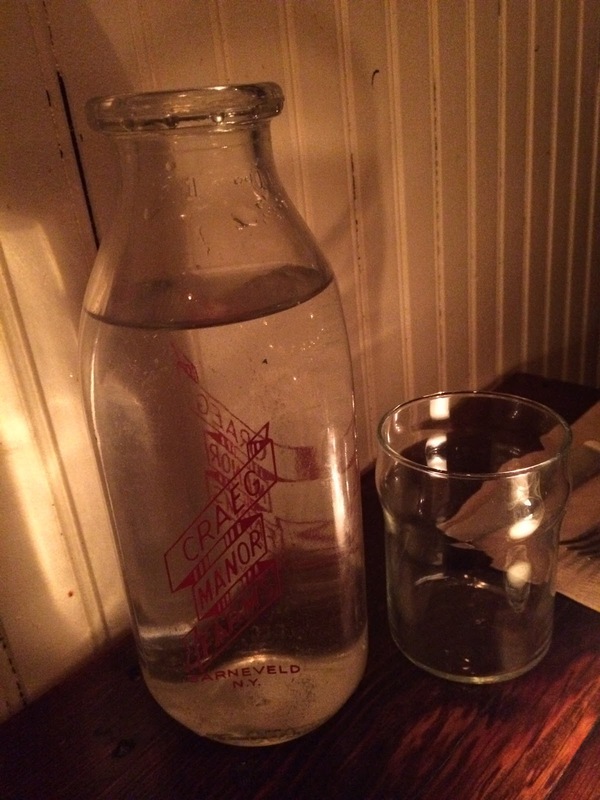 When I asked for some tap water, a glass milk jar was brought. Meatballs were served with parmesan cheese and a piece of focaccia bread, but it tasted like rye bread to me. 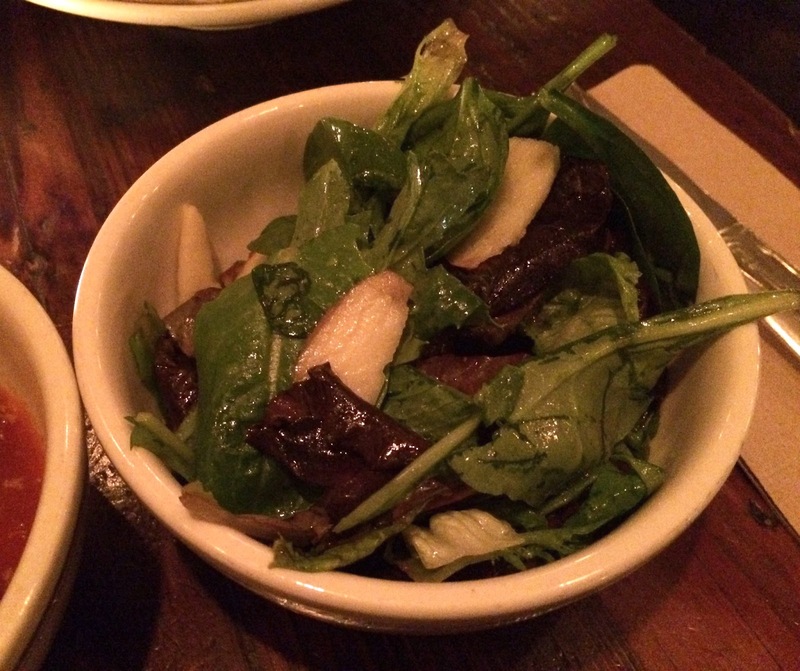 Simple Salad had fresh greens and thinly sliced apples that were crunchy, and the dressing was some oil with salt. I really liked this greens and sweet apples. Meatballs were quite large that required me to cut to eat. In the balls, there're herbs and they had intense scent and flavor. And even though it's called "Classic Beef," it's very stinky as if it'd contained some pork in it. 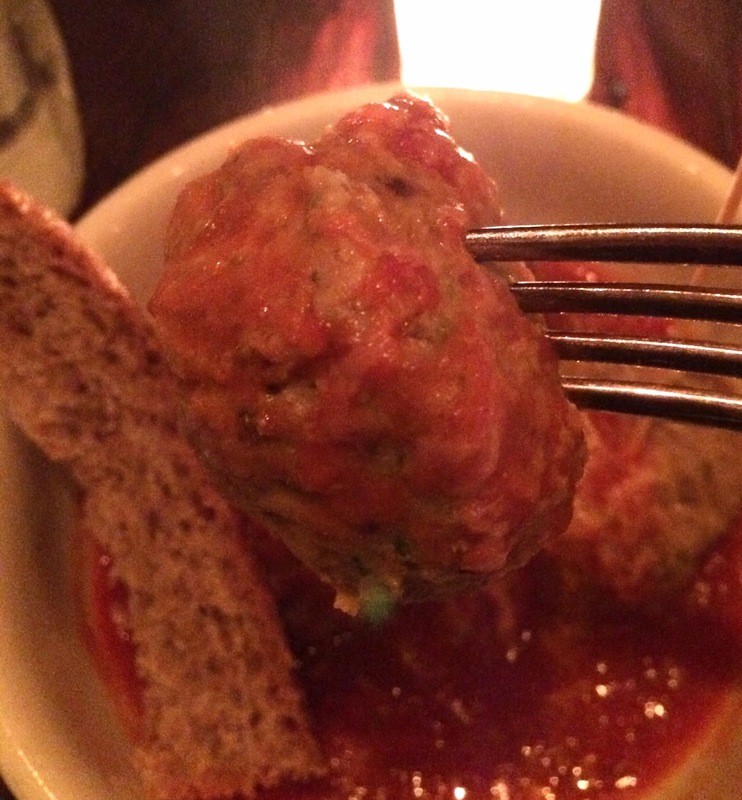 Sour tomato sauce didn't cover the odor and they're just weird smelly meatballs. 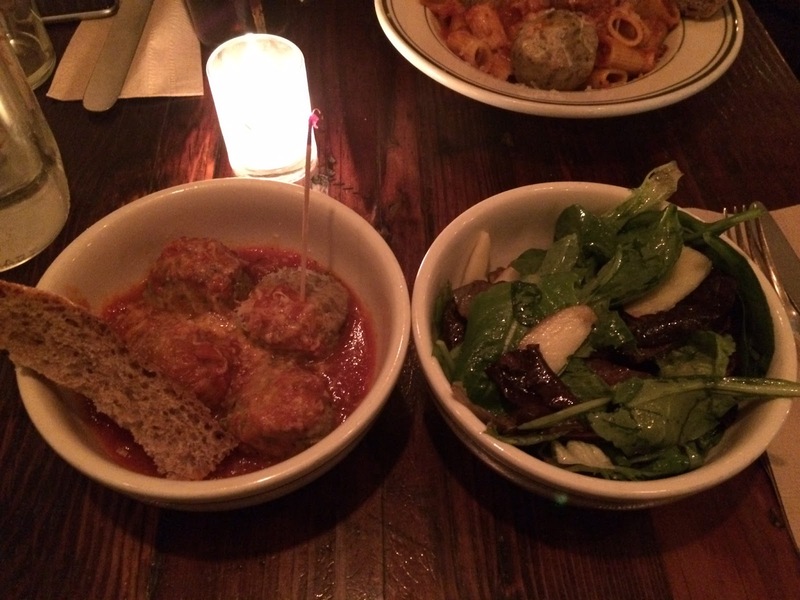 As the meatballs were so stinky and didn't meet my expectation hat I liked the salad much better. 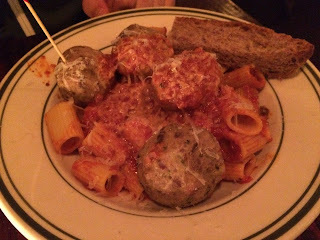 My husband got Classic Beef with Classic Tomato Sauce and Rigatoni, and the meatballs and sauce tasted the same, of course as they're the same items that I had, and the pasta was cooked al dente.